The Sports management extension for Joomla has been created to help Sports professionals and administrators to manage the activities of a Sports or Fitness club. The extension creates a back end management panel and a front end booking form where customers can book sports sessions for different classes. You can see a front end demo here. Contact us for a back end demo. Get Sports Management for Joomla FREE here. With Tour Booking you can start selling your tours on your website in a few minutes. Tour Booking has the same great looking front end booking form as Taxi Booking for Joomla, as well as a back-end management panel for Cars, Settings and Orders. Horizontal and Vertical Quick booking modules are also available. Fully open source, multi-domain licensed software - install on as many websites as you like. 90 days of support and updates (can be extended). Front-end Demo here. To request backend demo please contact us. 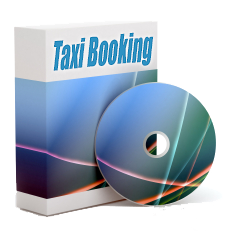 Taxi Booking Light is a lightweight version of the famous Taxi Booking for Joomla extension. With Taxi Booking Light you can start selling your transportation services on your website in minutes. Taxi Booking Light has the same front end booking form as Taxi Booking for Joomla, as well as a back-end management panel for Cars, Settings and Orders. The main differences with Taxi Booking for Joomla are that Taxi Booking Light has built-in just Address to Address* (price per mile/kilometre) service type and Cash only payment method. Taxi Booking Light can be extended with the rest of the payment methods available for separate purchase. We will be adding the rest of Taxi Booking for Joomla features as separate extensions that can enrich Taxi Booking light to meet your business needs. Mobile first: Progressive Web Apps act like a native app and can be installed on multiple mobile devices. Microsoft also announced that progressive web apps will be not only installable on Windows devices but will also be published in the Windows app store. The Progressive Web app for Joomla is working beautifully allowing your website readers to Install your website as a native mobile app on supported devices (currently Android and Windows devices with Chrome, Mozilla and Edge browsers support PWAs). The Joomla content of your website will be available to your readers even offline. Get the PWA for Joomla.